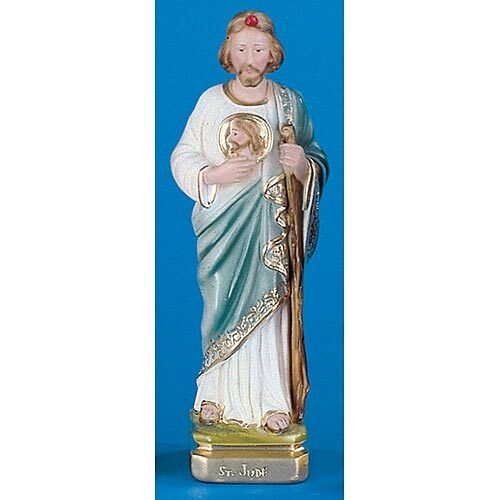 Our Italian hand-painted Saint Jude Statue makes a great gift for any Catholic with a devotion to him. Composed of the high quality plaster, then individually painted, our statues offer both the beauty and craftsmanship you need when shopping for statuary. Available in two sizes, 8 and 12" to meet your individual needs.